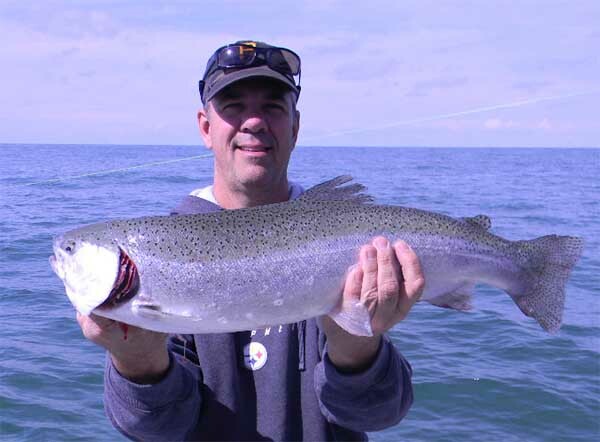 Trout and Salmon fishing is good late August through October. The trolling method is used here to catch these stream bound runners. Catching one of these silver tackle-busting bullets is every anglers wish. The fish range 5 to 15 pounds and more. 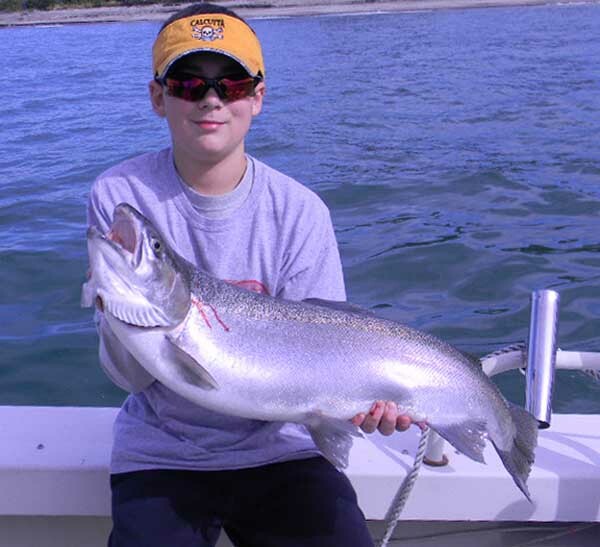 The catching of an occasional large chinook Salmon is possible. Many hook-ups are possible; but it takes that special angling skill to get them in the net! Trout and walleye combinations are available. Come: TEST YOUR SKILLS CATCH YOUR BIG ONE!